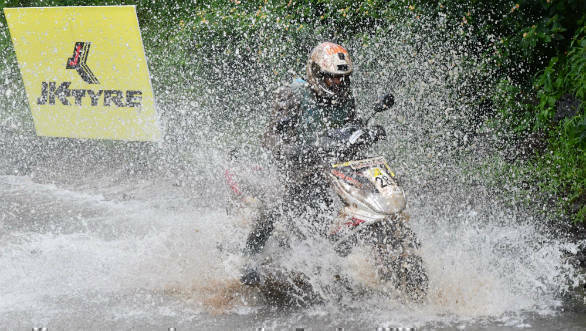 The 29th edition of the JK Tyre Monsoon Scooter Rally was held last weekend in Nashik. Mumbai based Ventakesh Shetty held onto the title this year too, completing the 5 km loop in 19.13s. His first run took 6.13s, his second was the quickest of the event at 5.37s and the third took 6.03s. The other two overall winners were Zeeshan Sayed, also from Mumbai, at 21.36s and TVS Racing's Syed Asif Ali took third place at 22.19s. The Monsoon Scooter rally is an FMSCI approved event that took place in Mumbai up until last year but this year's edition saw a last minute change of venue to Nashik. 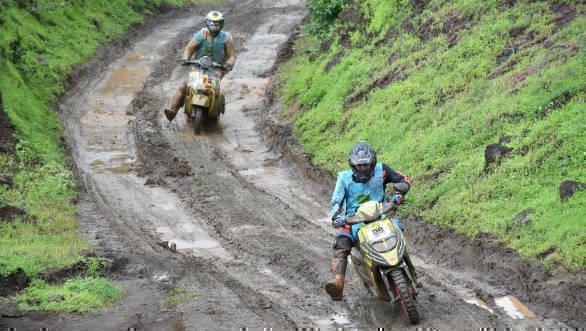 The rally saw 34 riders from Mumbai, Pune, Bhopal, Vadodara, Raigad, Panvel and Nashik traverse mountainous terrain over a dirt track. TVS Racing and Aprilia entered teams in the event. 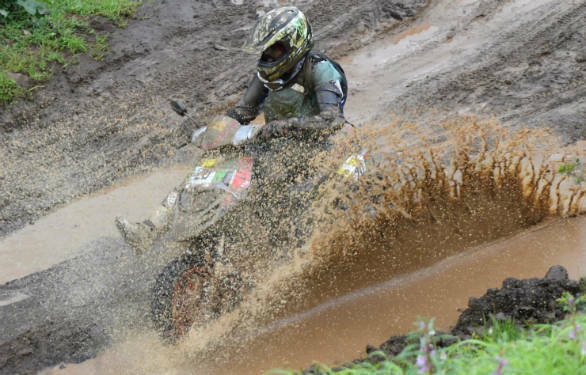 Four classes of racing took place, above 80cc up to 110 cc two-stroke in which Rohan Thakur won. The second category was geared scooters above 110cc and up to 160 cc, Manjit Singh Bassan won this. The third category was for scooters between 80cc and 210cc in which Ventakesh Shetty won. There was also a separate category for the two ladies who entered, Amruta Guruji topped this. Winners received trophies and cash awards. First-time entrants were also awarded separately. Shrikant Karani the organiser said that he was very happy that they managed to pull off the rally. They barely had 10 days to put everything in place after the original venue had to be abandoned due to reasons beyond control. He added that the competitors showed faith in their event and came over to Nashik and rode brilliantly to the delight of the local fans. The local association and the entire city gave them a lot of support.